Stop Talking about Backups Tapes!!! This isn’t a rant against backup tapes in IT infrastructure. This isn’t a rant about how backup strategies need to change. It is a rant about all the people that depend on backups for managing information. Backup tapes are to restore your system when things go wrong. Period. If you have to keep something, don’t use tapes. There are other ways. There are several archive vendors out there that will gladly take your phone calls. Tapes are even worse for this than other backup methods. Tapes degrade. Tapes become corrupted. Tapes are easy to lose. Tapes get out of order. 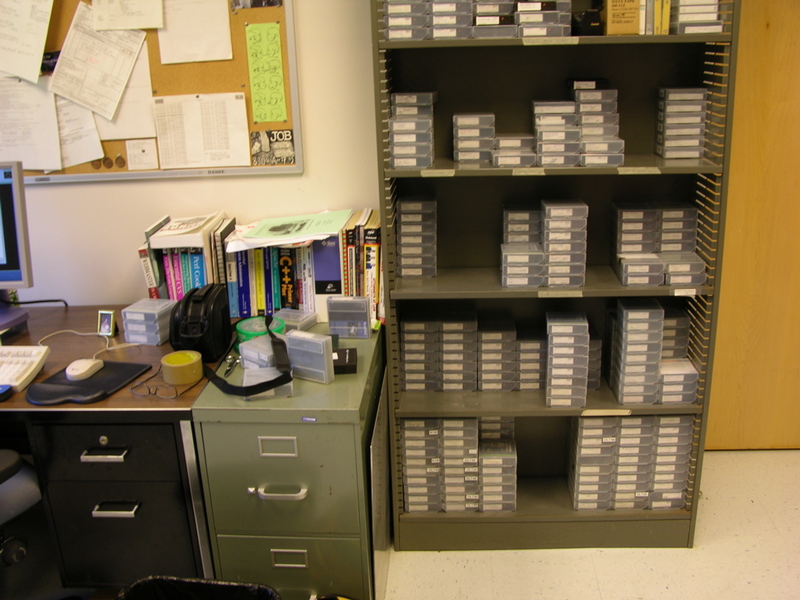 Tapes take up space that we are trying to save by going digital. Tapes take information offline and away from people. Tapes hold redundant information. When you are creating a collection of information, and you restore those tapes, the cost is going to escalate. If you are lucky, you will find 20% more new information to the total collection of information. Running out of storage in your systems? Move storage to the cloud. Want a more managed collection? There are hosted archiving services that will meet your needs that won’t create duplicate data. Is Email the problem? Move your entire email system to the cloud. Most have HUGE amounts of default storage and have archiving capabilities to protect users from themselves. Do what I did when I was a CIO. Take incremental backups every night. Take full backups every weekend. Keep 2 weeks of backups and then re-use the tapes. Every few months, replace tapes before they wear out and destroy the old ones. Or better yet, move your backups off of tape. If someone accidently deletes something, backups are not the answer. If a system dies, backups are the answer. If a storage array dies, backups are the answer. Backups are for protection against catastrophe. They are not for retention, archiving, or compliance in any form. Stop using them that way. If keep using backups this way you deserve every headache that you get. In addition, you may not be able to maintain support or stay connected to the devices you need to read those tapes as you upgrade your hardware going forward. You mean, use the right tool for the right job? That’s crazy talk!